from bernardokastrup.com: Theology has been the subject of much bashing by neo-atheists over the past several years. A fresh blog post by Jerry Coyne today seems to encapsulate the essence of their grievance: theology is claimed to be a discipline with no subject of study. 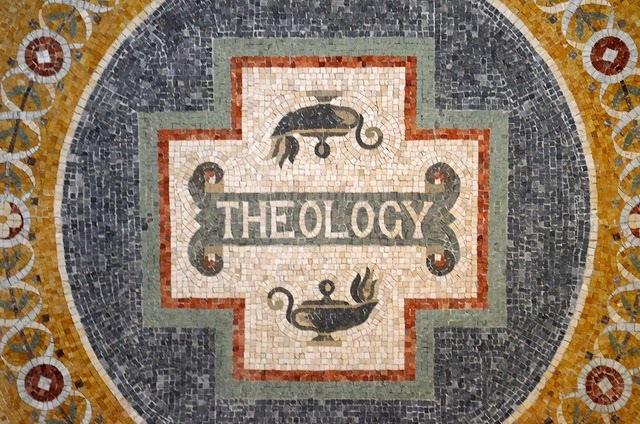 Correctly defining theology as "the study or science which treats of God, His nature and attributes, and His relationships with man and the universe," Coyne asks rhetorically: "What good is a discipline that tries to tell us about the qualities of a nonexistent object? It’s as useful as a bunch of scholars trying to tell us about the characteristics of the Loch Ness Monster, or Paul Bunyan." (the hyperlink is mine) Any counter-argument to this is delicate, since it necessarily requires defining the most overloaded word in the history of language — 'God' — in some particular way that many are bound to disagree with. Yet, there are some common attributes almost always associated with 'God,' and 'God' alone: omniscience, omnipresence, and omnipotence. Thus, it is fair to say that, if one can identify a subject of study for which there is concrete, objective evidence and which incorporates the three attributes just listed, then one will have debunked Coyne's argument against theology. This is precisely what I intend to do in this essay. But in order to make my argument, I first need to take you on a brief tour of a more parsimonious, logical way of interpreting the facts of reality than the materialist metaphysics entails. Bear with me. Consciousness is the only carrier of reality anyone can ever know for sure; it is the one undeniable, empirical fact of existence. As I elaborate extensively upon in my book Why Materialism Is Baloney, we do not need more than this one undeniable fact to explain reality: all things and phenomena can be explained as excitations of consciousness itself. As such, the ground of all reality is an impersonal flow of subjective experiences that I metaphorically describe as a stream, while our personal awareness is simply a localization of this flow — a whirlpool in the stream. It is this localization that leads to the illusion of personal identity and separateness. Moreover, it is your body-brain system that is in consciousness, not consciousness in your body-brain system. Think of reality as a collective dream: in a dream, it is your dream character that is in your consciousness, not your consciousness in your dream character. This becomes obvious when you wake up, but isn’t at all obvious while you are dreaming. Furthermore, the body-brain system is the image of that process of localization in the stream of consciousness, like a whirlpool is the image of a process of localization in a stream of water. For exactly the same reason that a whirlpool doesn’t generate water, your brain doesn’t generate consciousness. Yet, because the image of a process carries valid information about the inner dynamics of the process — just like the color of flames carries valid information about the microscopic details of combustion — brain activity correlates with subjective experience. This worldview entails that the brain we can see and measure is simply how personal experience looks from the outside. In other words, neurons are what our thoughts, emotions and perceptions look like when another person views them from the outside. They aren't the cause of subjective experience, but simply the outside image of experience. For example: a neuroscientist might put a volunteer in a functional brain scanner (fMRI) and measure the patterns of his brain activity while the volunteer watches pictures of his loved ones. The neuroscientist would have precise measurements showing a pattern of activity in the volunteer's brain, which could be printed out on slides and shared with the volunteer himself. The patterns on those slides would represent what the volunteer's first-person experience of love looks like from the outside. In other words, they would be the image of subjective processes in the volunteer's personal consciousness; the footprints of love. But if the neuroscientist were to point at the slides and tell the volunteer: "this is what you felt when you looked at the pictures of your loves ones," the volunteer would vehemently, and correctly, deny the assertion. The first-person experience of love doesn't feel at all like watching neurons activate, or 'fire.' You see, the image correlates with the process and carries valid information about it — like footprints correlate with the gait and carry valid information about it — but it isn't the process, for exactly the same reason that footprints aren't the gait. Looking at patterns of brain activity certainly feels very different from feeling love. Thus, theology does have a very concrete subject: mind-at-large, or 'God.' And theology also has concrete data to make inferences about this subject: nature itself. After all, nature — from atoms to galaxy clusters — is an image of God's mental activity, just like a brain scan is an image of a person's subjective experiences. Theologians themselves have explained this in their own language, as a careful read of, for instance, Henry Corbin will reveal. If one denies the validity of nature as data for the study of 'God,' one must deny the validity of brain scans as neuroscience data. What theologians call 'Creation' is the 'scan' — the image, symbol, metaphor, icon — of 'God's' ongoing, conscious, creative activity. "All the world an icon," as Tom Cheetham summarized it. Goethe, in Faust, preferred the word 'symbol' instead of 'icon.' He wrote: "All that doth pass away / Is but a symbol." What in nature doesn't pass away? Coyne could counter this by saying that we already have the natural sciences for studying nature, and that the scientific method is much better suited for this purpose. This is as strictly correct as it misses the point: theology is an attempt to see past the mere images and make inferences about the subjective processes behind those images, which include emotions and intentionality; it is an attempt to see past the 'brain scan' and infer how it 'feels to feel' love in a direct way; it is an attempt to see past the footprints and understand where the hiker wants to go, as well as why he wants to go there. In this sense, theology and the natural sciences are entirely complementary. And this isn't all. If we are whirlpools in the broader stream of mind-at-large, then the implication is clear: at bottom, our personal psyches are not only one with each other, but also one with mind-at-large. After all, there is nothing to a whirlpool but the stream itself. This way, we are merely alters of mind-at-large, in the exact same sense that people with Dissociative Identity Disorder also have multiple alters. It follows that the expression of the deepest, most obscure and obfuscated regions of the human psyche (which depth psychology has come to erroneously call the 'unconscious') may reveal something about the direct subjective perspective of mind-at-large itself. And here is the key point: people express their 'unconscious' perspectives through symbols and allegories, much of which forms the basis of religious texts. Carl Jung's masterpieces Aion and Answer to Job make this abundantly clear. Therefore, insofar as theology provides a way of interpreting the symbols and allegories of the 'unconscious' psyche so to make sense of 'God's' subjective perspective, it also has a valid subject of study and a valid source of data. In conclusion, both nature itself and religious texts are expressions of a mysterious divine perspective and, as such, valid sources of concrete data for theological study. Theology has a clear, concrete subject, as well as a clear and concrete challenge: to decode the divine mystery behind the images (both 'unconscious' and empirical) that we can ordinarily access during life. Coyne is simply wrong. While the natural sciences attempt to model and predict the patterns and regularities of nature, theology attempts to interpret those patterns and regularities so to make some sense of their first-person perspective; that is, God's perspective. Theology also attempts to interpret the symbols and allegories in religious literature so to reveal the 'unconscious' psychic processes behind them, which betray something about the inner-workings of 'God's mind.' In both cases, theology represents an attempt to provide a hermeneutics of texts and nature. This is essential, because a life worth living isn't only about practical applications, but also meaning and purpose.